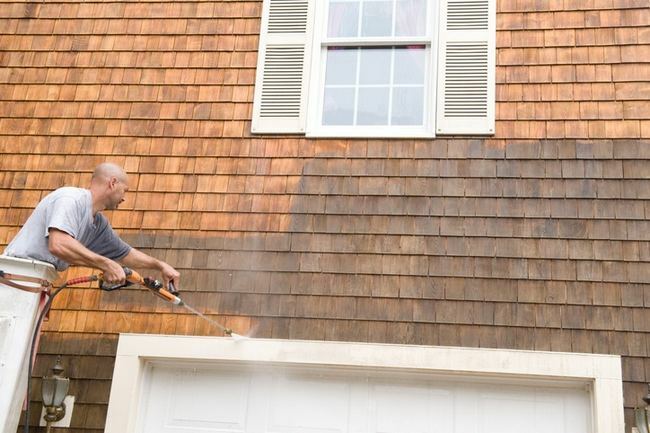 The exterior of your house and the hard surfaces surrounding it can get pretty dingy over time, so if you really want a deep clean, you should consider using a power washer to do the job. While as with most things there are many different products and models available to choose from, in general, power washing entails using a stream of high-pressured water to spray stains, grease, ground-in dirt or particulates off of a variety of hard surfaces. Here, Gutter Helmet® answers a few questions about power washing. Q: What are some of the different applications that power washing equipment is used for today? A: When it comes to versatility, power washers are very flexible. Though they can be used for various purposes around the house, most residential homeowners use power washers for things like paint removal, “soft” washing the car and cleaning roofs, driveways, sidewalks and delicate architecture – along with gutter cleaning. Q: What benefits does power washing equipment have over regular consumer-grade garden hoses and spray nozzles? A: Many power-washing products and accessories are designed for professional as well as residential use, so they tend to be more durable and made of higher-quality materials. Because of the number of affordable attachments (wands, nozzles, brushes, etc. ), another huge benefit is that a pressure washer isn’t limited to one use for one project; rather, it can have many different uses. Q: What types of power washing jobs can be handled by an experienced do-it-yourselfer, and which ones require the services of a professional power washing company? A: There’s almost no power washing job someone who likes DIY projects can’t handle as long as they use the proper equipment (correctly) and observe all safety procedures. You can clean just about anything with a power washer, including roofs, walls, sidewalks, windows, cars, boats and gutters. Even clearing out sewer lines can be done with a power washer. Q: What are some tips or advice to keep in mind when it comes to power washing? A: Power washing is fairly straightforward; all you really need to do is use the right equipment for the job and do your research. Q: Do you have any advice about power washing gutters on a home? A: Never try to operate a pressure washer while on a ladder. Instead, use an extension wand to safely reach the gutters or any other area you need to clean. 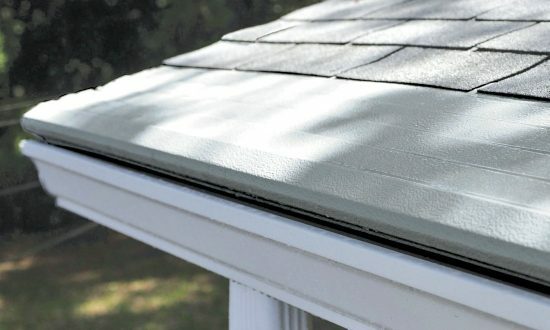 If cleaning build-up and debris out of your gutters several times a year is something you want to take off of your seasonal to-do list, consider installing gutter protection systems to keep your gutters clean and clear. And you’ll want to have Gutter Helmet, the best gutter guard installer around, do the job for you. Give us a call at (800) 824-3772 to schedule your free no-obligation consultation today!